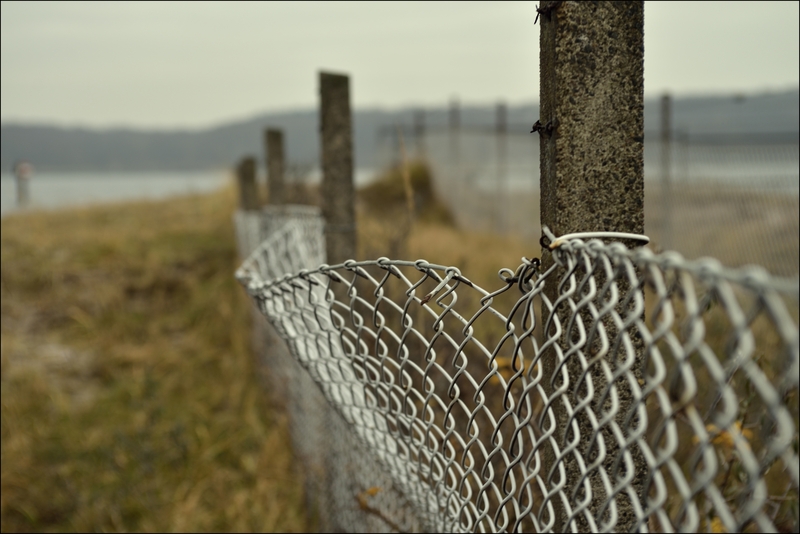 “chain-link fence” © liebeslakritze, 2013. CC BY-SA 2.0. There’s a patch of grass above the freeway near my house. The fence around it has several “No Trespassing” signs tacked to it. But the fence is easy to bend back and sneak in. So the homeless population sets up camp there. Today on my way home I saw city workers repairing the fence. They do this every month or so. Go in, evict the residents, clear out all the trash and cardboard boxes that have accumulated, and repair the fence. Double it up this time, maybe. Make it a bit taller, the wire a bit thicker. As if that is going to take care of the problem. As if that is going to put people in houses and off the streets. As if that is going to take needles out of arms. The city workers will always find a new way to reinforce the fence and the homeless will always find a way back in. It occured to me that this is exactly the same as my substance abuse issues. Stop drinking and start smoking more. Stop smoking and start eating more. There’s always something that comes in to take the place of unaddressed emotions. The difficult problems. The things that are not easy to sit with. The feelings I don’t know how to feel. Something always slides in to take it’s place until I take care of the problem. Lately it’s disappearing into bowls of pasta, bags of potato chips, pints of ice cream. A hunger that has nothing to do with food and everything to do with drowning out feeling. Just like bourbon used to. Just like cocaine. It reminds me how much of a process this is. How far ahead I can be, but how far I have to go still. I think about what I was like five years ago. Going through the motions of getting help, but never committing to it fully. I’d show up to my 10 AM therapy appointments still high on coke from the night before and not say a word about it. Only partially brave enough to face the things happening inside my head. I think about what I was like two years ago. Just starting to re-admit that I need help. Finding myself sitting in my therapist’s office with lots of “I don’t knows” dripping from my lips. Never dropping in words like “worthless” and “suicide” and “desperation”. Refusing to admit that maybe I needed more support than I thought I did. Than I wanted to admit. That this thing is bigger than I’m equipped to deal with. Only three months ago I finally started talking about how bad it’d gotten. It wasn’t the first time I was that scared. Wasn’t the first time I started investigating ways to end my life. But it was the first time I reached out to anybody. And I reached out to everybody. I told my therapist, I found a psychiatrist, talked to my medical doctor about it, lined up a DBT program. I told my family. My readers. It felt like unzipping my skin, standing up all tissue and bones. Terrified. But that shows me that my capacity is growing. That I’m moving toward something more stable. So even when I feel like this isn’t working and I’m never going to make it. I just have to remember that I already am. I’m taking steps to address the problem, not the fence. Yes. You see the fence is down and that the solution is no longer to fix it. Band aid solutions just defer the problems. Like you, mine switched around a lot. Always looking for the fix. Never really looking at the problem. I think it was that true fear for myself that spurred me on. Perhaps ending my own life was an option for me, but I knew I couldn’t do that to my children. Not without trying to get help, even though that was horribly scary and embarrassing. I now know it was also extremely brave and worthwhile. I look at my semi colon tattoo and know I made the right choice. Choosing life is always right. I’m so glad you were able to make that decision and that you’re able to keep making it every day. It is scary and embarrassing and brave and worthwhile all at the same time. Your writing is so beautiful. I’m rooting you on and wishing so much hope and peace for you. All this change takes so much time, doesn’t it? SO. MUCH. TIME. Thank you so much for sticking by me. That’s the thing about fences, sometimes you have to walk around then, sometimes you have to jump over them, sometimes they keep you from crossing over the line, sometimes they tempt you to tear them down. Dear Ruby Browne, your just tearing down your no trespassing signs and mending your fences. Sometimes you have to do all those things. I like to think that’s exactly what I’m doing. Last month TEDxOlympia speaker Meg Martin addressed the homeless population in Olympia with her talk, “Screen Them In”. I think it’s worth a gander, it touches on mental illness as well. Oh, this is most definitely worth a gander. What a powerful piece. I’ve heard that over a third of the homeless population suffers from at least one mental illness. It’s just astounding. Thanks so much. Those are both very, very true. There are echoes of what you describe in me. I struggle to grasp that how I feel isn’t who I am and doesn’t have to define how I act. But the emotional monster has big hands and a long reach–and my safety blanket is wrapped python-tight around me so that I can barely breathe. Have to remember, to stop staring back into the eyes of the monster and, instead, keep my eyes on the direction I want to travel. Just sharing a sympathetic moment in the dark. Thank you so much for sharing. Knowing we’re not alone it in is just the smallest bit of light, isn’t it?